Angela Sloan, President and owner of Sloan Financial Group, and her team of associates have dedicated themselves to helping clients secure their financial future. Angela’s responsible financial advice and tax-saving strategies have helped her clients grow and protect their retirement portfolio, even during turbulent financial times. Through Angela’s vision, Sloan Financial has grown to provide an integrated suite of products and services to ensure each client’s complete financial wellbeing. 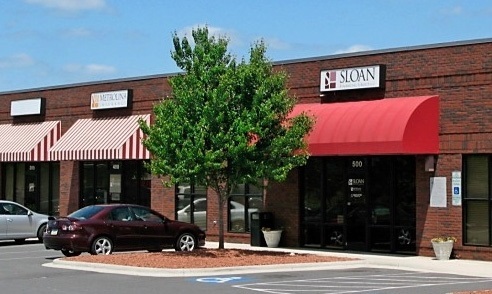 With our main office in Clover, and a satellite office in Charlotte, Sloan Financial is committed to serving and educating residents of York County and the surrounding Charlotte metro area by offering complimentary educational programs throughout the Carolinas. Sloan Financial is the areas only full service financial firm offering investments, financial planning, tax services and insurance. Together, these products and the services we provide help to provide assurance that your financial future is protected and on track for success. Follow the links below for more information, or contact us now for a complimentary meeting to see how Sloan Financial can help you secure your financial future.